Have you heard of Sweet Revenge in NYC? Better yet, have you eaten there? “Eat, Drink, and be Merry” is their motto, and they pair wine and beer with cupcakes. Ummm … yes, please! How does this sound: a crimson and cream cupcake with a bellini or a spice islands carrot cupcake with an IPA. I haven’t yet had the pleasure of indulging there (hint, hint husband! ), but I did a little pairing of my own last weekend. We hosted an apartment full of friends for Penn State football. Conveniently, it was also Nick’s 27th birthday. It was cold and rainy at the tailgate, and the Nittany Lions lost to the Hawkeyes, but at least we had stout cupcakes to consume! This is the first recipe I made from Martha Stewart’s Cupcakes cookbook, which we received as a shower gift a few months ago. 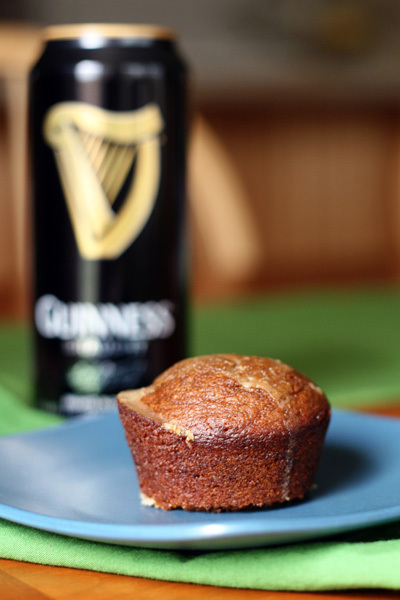 I was hesitant to pour a pint of Guinness into the cupcake batter, but I knew Nick would love it. And, really, the cupcakes taste more like spice cake or gingerbread than beer. The stout simply helps to make them more moist and bold. Happy birthday to the guy who is fond of men’s accessories, dark beer, and cupcakes! And if you’re a fan of the peanut butter and chocolate combination, check out Nick’s 26th birthday cake. Preheat oven to 350°F. Grease muffin tin (or line with paper). With an electric mixer on medium-low speed, beat oil, molasses, brown sugar, whole eggs plus yolk, zest, and stout until combined, Reduce speed to low and gradually add flour mixture until combined. Pour batter, filling each 3/4 full. Bake for about 20 minutes, or until a toothpick comes out clean. Place onto wire racks to cool completely. Whisk together until combined. Spoon over cupcakes and let set. 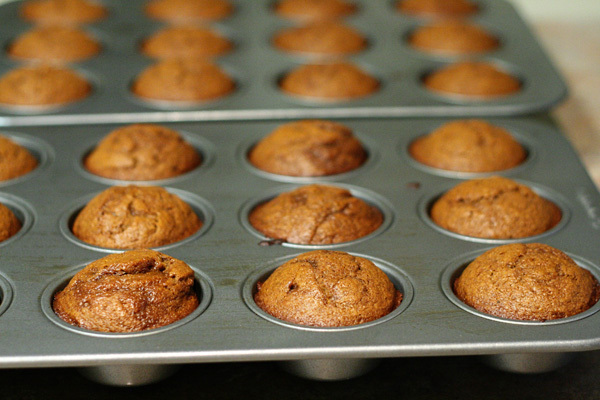 Thanks for the cupcake recipe — can’t wait to try it! Love your new Wiley Wifey blog! You are so creative and your blogs are FUN to read! Your happiness shines through! We are so thrilled (and blessed) to have you part of our family! Nick is certainly one lucky guy! I’m bookmarking this … I feel like it will come in handy in the future!